"My friend" may or may not be planning to put up her Christmas tree and decorate before Thanksgiving. I mean, if my friend were to decorate early, it's okay since she will be going home for the holidays and coming back to her house after Thanksgiving. She just can't help it...she loves this time of year, so we must forgive her for being so crazy, right?! 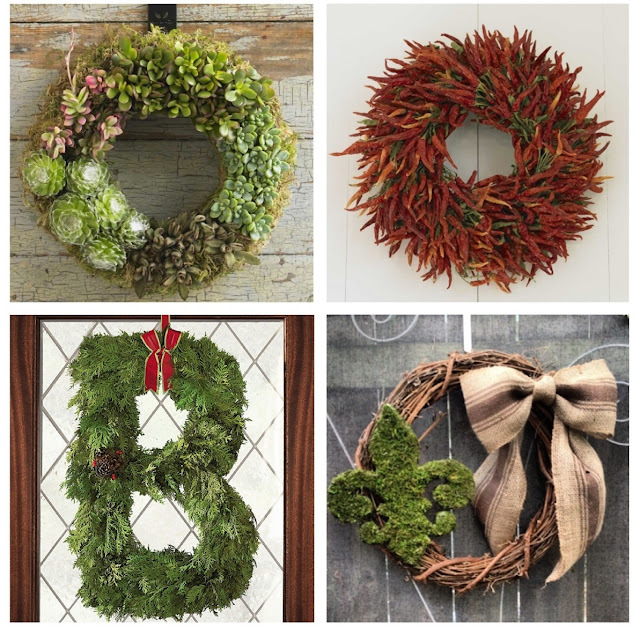 I love that first wreath! I like how similar items are grouped together. I make my own wreaths so I might have to copy this one... I'm so putting up my Christmas decorations this weekend. "your friend" is my kind of girl! LOVE the wreaths!